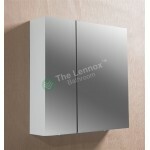 This classic, stylish rectangular bathroom mirror from Euroshowers will add a touch of class to your home, the mirror's simple minimalist design would look great in any modern or traditional bathroom. 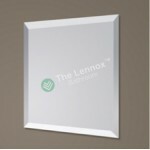 The mirror is easily fixed to any wall using brackets hidden on the back of the mirror. Copyright © 2017 Lennox Bathroom - Christchurch . All rights reserved.